Deutsche Grammophon is a German classical record label. The company has long been known for its high standards of audio fidelity. The Deutsche Grammophon Gesellschaft was founded in 1898 by German-born United States citizen Emile Berliner as the German branch of his Berliner Gramophone Company. Based in the city of Hanover, the company had links with the U.S. Victor Talking Machine Company and the British HMV, but those links were severed at the onset of World War I. In 1945 as part of Germany's surrender terms ending World War II, Deutsche Grammophon forfeited its rights to the His Master's Voice trademark to EMI. The dog and gramophone were replaced by the "crown of tulips", designed by Siemens advertising consultant Hans Domizlaff. In 1962 Siemens formed a joint venture with Netherlands based Philips to create the DGG/PPI Record Group, which was to include the PolyGram label. In 1987 Siemens sold off its interest in Deutsche Grammophon, and Philips became the majority shareholder. In 1998 Seagram Company Ltd of Canada purchased Deutsche Grammophon and Polygram. 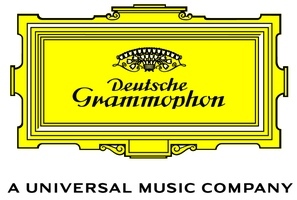 Since then Deutsche Grammophon has been merged into the Universal Music Group, a division of Vivendi. Deutsche Grammophon has a huge back catalogue of notable recordings. The company currently is reissuing a portion of it with the indication Originals. Originals compact disc releases are noted for their vinyl record stylized design. They are also releasing some of Decca Records' albums from the 1940's and '50's, such as those that Leonard Bernstein made for Decca in 1953, and the classic Christmas album which features Ronald Colman starring in A Christmas Carol and Charles Laughton narrating Mr. Pickwick's Christmas.